So very simple question - any reasoning to buy BMW screen wash over a shop alternative? Mine has nearly run out for first time and wanted opinions from those in the know. Only thing I can see after small search is that BMW's is good down to -65 or something ridiculous. On my old e8x I used generic screen wash until the pipes got blocked up and stopped the rear screen wash from working. It's a pain to sort so once done i, only use genuine stuff now. It's good down to -60 something less or you said and also is supposed to have bacterial inhibitors in it to stop the growth that causes the blockages. I use BlueCol -36, anti-bio additives, mixes with BMW stuff, and doesn't freeze. BMW original is good gear though, if you can buy it locally/easily. BMW stuff is not expensive either. I can honestly say that in over a million miles over the last 15 yrs doing between 80,000 & 120,000 miles per car I have never had a problem with screen wash pipes, filters or pumps and I use whatever I end up buying when I run out be it from Halfords or from ebay or where ever. I just buy what's appropriate temp-wise for the time of year and and throw it in. BMW stuff at £18 for 5ltrs can FRO. -63 is fine but in our cars with heated washer jets/pipes it shouldn't be an issue. In all the time I've had BMW's or Mercs I cannot remember a single instance of my washers freezing up. You only need it to go to -65 if you leave it as concentrated, which is obviously a bit silly - treat it as a concentrate that you dilute and it suddenly makes sense. As above, buy the 5L bottles and it's pretty affordable (I get it for around 15-16 quid off ebay). I dilute 1 part screenwash to 2 parts water in winter and it's been fine for the coldest days we've had so far. Straight away it's now only costing you around £1 a litre. 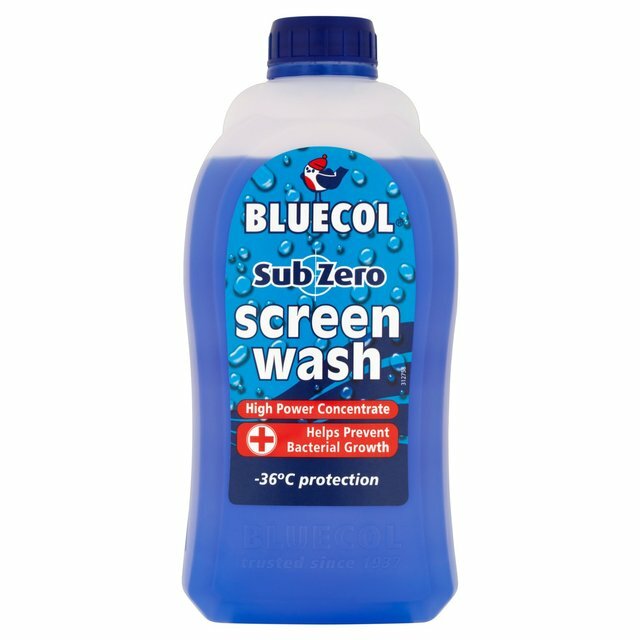 In summer I go 1 part screenwash to 3 parts water and it's still really good at cleaning the windscreen, this makes it around 75p a litre. At those dilutions it's easily comparable in price to any other screenwash and although skeptical at first, I have to admit it's actually really good at what it does, so I just think why bother risking any issues. I think the key thing is to never mix any different brands (and totally flush with water before using another), and always use one that won’t freeze up. Used both Halfords and Prestone (down to -25) screenwash in my two previous BMW’s over the course of 10 years, and never once had any issues. When I got the M140, just stuck with the BMW stuff and only on my second 5litre can, since March 17, so dilutes well and not expensive at all !! The wife’s motor gets the Prestone stuff now!! ...haven't used it yet as the 140 is only 2 weeks old. At £15.50 delivered it's cheap and has an expiry date of Nov 2023. Thanks! I just bought some too. Last edited by dailydoggy on Fri Feb 08, 2019 8:29 pm, edited 3 times in total.